AMD has invested heavily in the GCN architecture powering all modern Radeons and, tellingly, the graphics in the Sony PlayStation 4 and Microsoft Xbox One consoles. In a nutshell, R9 290X taps into GCN a bigger way than previous Radeons, thus enabling higher performance via a wider, more parallel architecture. Let's take a peek at the Table of Doom™ and then dissect the GPU through analysis. 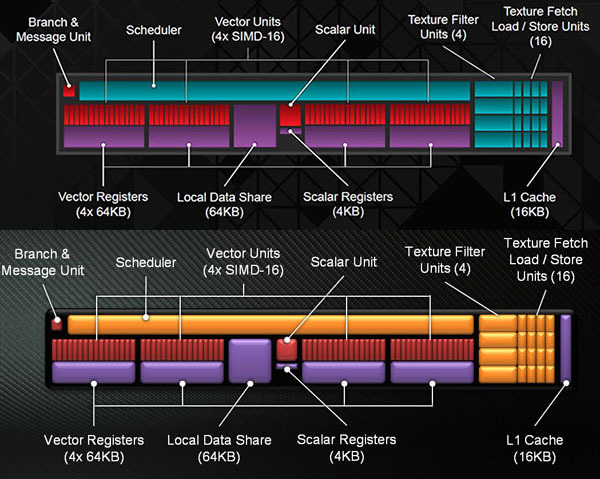 Compared to previous generations, AMD has doubled the geometry processing at the top of the GPU. This processing takes basic data in, crunches geometry assembling, tessellation and vertex processing, and throws it over to the mass of compute units. Geometry performance is further improved, AMD says, by optimising local data storage and increasing off-chip buffering efficiency. Finishing this silicon jigsaw is a new memory controller that's suited to the R9 290X's greater grunt. AMD has pulled off the enviable trick of increasing the overall width to 512 bits, up from HD 7970's 384 bits, but, crucially, doing so whilst decreasing the required space by 20 per cent. This has been done by using space-saving PHYs that, unlike their Tahiti cousins, are not able to clock as high - you gain some space but lose on memory frequency potential. Smaller memory PHYs is one reason why the new chip, at 438mm², is only 25 per cent larger than the HD 7970/R9 280X. AMD's solution in keeping maximum board power at around 250W is to use a sophisticated balance between GPU/memory frequencies, temperature and power. Alter one facet and you can manoeuvre the others to some degree. This is why the R9 290X is programmed with a native, guaranteed GPU speed of 800MHz, rising to 1,000MHz under optimum conditions - a take on Nvidia's GPU Boost, if you will. Following this energy-saving line of thinking, card memory is left at a conservative 5,000MHz, most likely due to using the smaller aforementioned memory PHYs. By default the GPU is programmed to run with a toasty temperature target of 95°C. 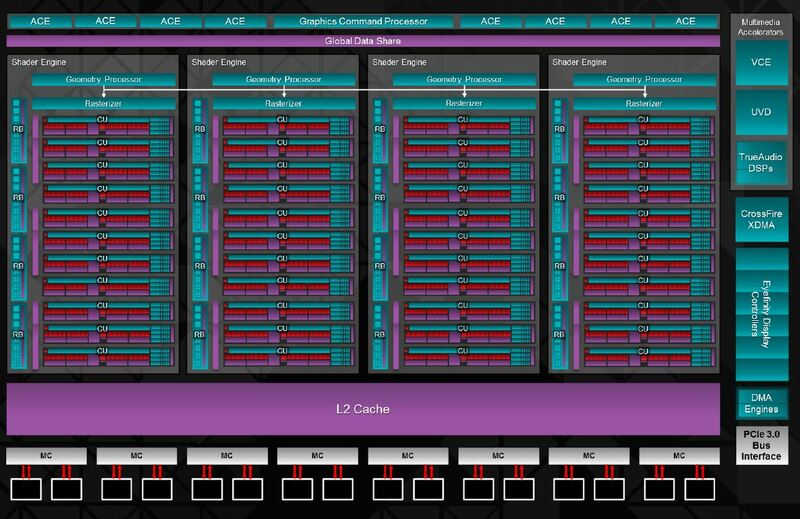 AMD's new PowerTune hardware uses a second-generation serial VID interface and VR controller, also seen on certain APUs, and they provide 255 voltage steps and 6.25mV granularity. This means the GPU's voltage and frequency can be controlled like never before. The card can be set to run at a very precise wattage, the fan-speed can be set to within tight parameters, and ideal temperature to within a single degree. The purpose is to extract the most performance for a given power and thermal budget. You set the desired parameters - wattage, temperature, etc. - and the GPU ramps up in accordance. There's no guarantee that it will hit 1,000MHz every time, but loosen off the shackles, at the expense of power, noise and temp, and the R9 290X will run faster. We'll show you just how this correlates to real-world gaming in the benchmarking section.